Over the next five years, F# is expected to become one of the world's most popular functional programming languages for scientists of all disciplines working on the Windows platform. 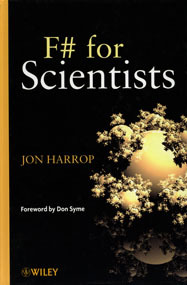 Developed in consultation with Don Syme of Microsoft Research Ltd.�who wrote the language�F# for Scientists explains and demonstrates the powerful features of this important new programming language. The book assumes no prior experience and guides the reader from the basics of computer programming to the implementation of state-of-the-art algorithms.